If you were an astute student in your history class, then you can probably recall who Tandang Sora is. For most people, however, she is nothing but a name of a place somewhere in Quezon City or just another old lady who died centuries ago. But during the 1896 Philippine Revolution, Melchora Aquino or Tandang Sora was anything but irrelevant. At the age of 84, she became the “Mother of Philippine Revolution” for her selfless support to the Katipuneros. She gave 100 sacks of rice and three carabaos to the group as well as cured wounded Katipuneros, risking her own life in the process. For her key role in the revolution, she was captured by the Spanish government and deported to Guam, where she worked as a house helper. She later returned to the Philippines and died at the age of 107 in 1919. 1. She was often chosen as Reyna Elena when she was young. 2. Her married name is Ramos, but most people know her by her baptismal name. 3. She’s the first Filipina to be featured on a Philippine peso banknote. 4. Tandang Sora, The Movie. 5. There is a street in California named after her. Born on January 6, 1812, to a wealthy farmer couple, Melchora Aquino grew up to be a talented singer, performing in church and local events. She was also the frequent choice to play the role of Reyna Elena during the “Santacruzan,” a traditional event commemorating Empress Helen’s discovery of the Cross of Christ. 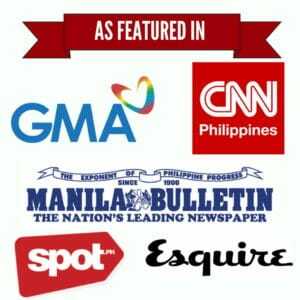 Melchora Aquino was married to Fulgencio Ramos, a cabeza de barrio (similar to present-day barangay captain). She was widowed early and forced to raise their six children on her own, working hard to ensure they all received a proper education. Copies of Aquino’s pictures, including her wedding photo, have been preserved by some of her great-grandchildren. 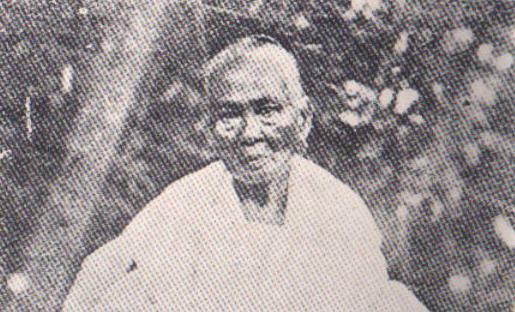 In fact, her oldest surviving grandchild, 93-year-old Isabela Roxas, brought a scrapbook containing some of these pictures during Tandang Sora‘s 200th birth anniversary at Banlat, Quezon City. Tandang Sora is the first Filipina to appear on a Philippine peso banknote, specifically the 100-peso bill (English Series) from 1951 to 1966. 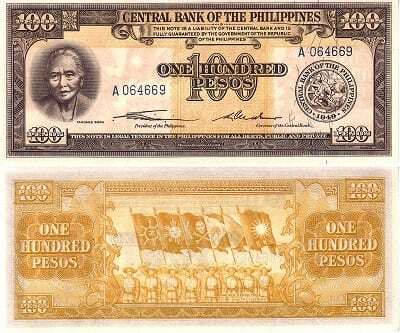 She was later demoted to a five-centavo coin from 1967 to 1992 and has never been featured again on any banknote or coin since then. So far, only two movies were released to honor Melchora Aquino’s heroism. 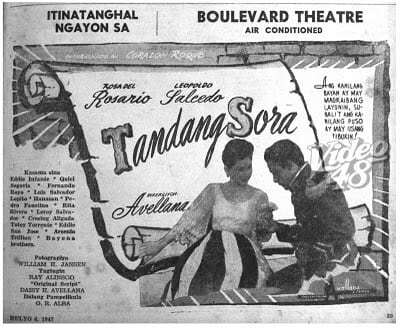 The first one, directed by Lamberto Avellana, was the 1947 film “Tandang Sora” starring classic local movie icons Rosa del Rosario and Leopoldo Salcedo. The second was an indie film with veteran actress Perla Bautista in the lead role. In addition to a road and district in Quezon City, there is also a street in San Francisco, California that bears Tandang Sora’s name. The said street is located near the Bayshore Freeway, between 3rd and 4th Streets. In this area, you can also find several streets named after famous Filipino patriots like Rizal and Bonifacio among others.